Rapid Foundation Repair offers basement waterproofing solutions in South Dakota, Wyoming, and parts of Nebraska. We are able to repair damage to your foundation due to moisture entering through cracks in your walls. We are also able to install products that can prevent future water problems in both basements and crawlspaces. When water builds up next to foundation walls it can cause pressure that can lead to bowing, cracked walls. Water often seeps in through the wall cracks because of the pressure produced. The team at Rapid Foundation Repair can determine a solution that fits your needs. Damp Proofing: Many homes used to be treated for dampness by spraying a solvent-based asphaltic solution on the foundation. While this process was termed “waterproofing”, in reality it was actually “damp proofing.” These asphaltic coatings didn’t actually stop water. Actual basement waterproofing materials will effectively prevent both water and water vapor transmission. Diversion: Some waterproofing companies attempt to divert the water that damp proofing does not stop. However, these interior water drainage systems do not stop water from seeping through concrete. 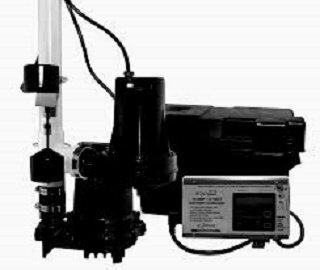 These systems simply divert water that has entered the basement and sends it to a sump pump. The pump then expels the water through a pipe to the outside of the home. 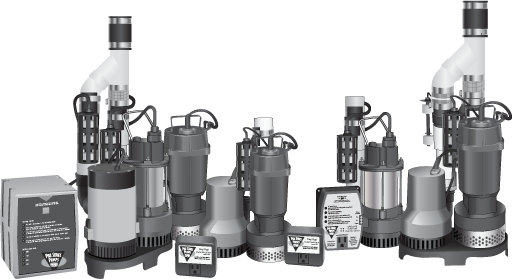 Interior and exterior waterproofing: This includes sump pumps, battery backup sump pumps, exterior drainage solutions, and more. These are the types of systems that Rapid Foundation Repair uses. We can recommend a combination of products that fits your specific needs. How Does Water Get Into Your Home? One of the most common places for water to enter is any cracks that may have formed in the floor or walls. Wall cracks and floor cracks are common in many homes, as the concrete that makes up the foundation can develop cracks from age. Another way that water enters the home is the place where the basement walls meet the floor. This is area is very hard to completely seal off. Windows in the basement wall can be a good entry point for water, as they require a break in the surface of the concrete. 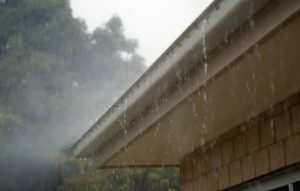 Water can also seep in over the top of the foundation, especially if the home was built on low ground. No matter where water is entering your home, Rapid Foundation Repair has a basement waterproofing solution for you. Water issues that are caused by cracks are usually the result of foundation problems and require foundation repair services before the cracks can be sealed to keep out moisture. To keep out water that is entering from other areas, such as the basement windows or over the top of the foundation, the best solution is an exterior drainage system. This type of waterproofing system will channel the water away from the home before it has the chance to get to the basement. To enhance the effectiveness of this and reroute water that is seeping over the foundation, an interior drainage system is a good choice. An interior drainage system will carry the water to a sump pump which will then pump the water out and away from the home, preventing water damage and flooding. Rapid Foundation Repair provides these and various other services for your basement drainage needs in Nebraska and the surrounding area. Call Rapid Foundation for your free in-home estimate on our basement waterproofing services.